"These are one of my favorites. I make them every holiday season. They are great for mailing and keep for weeks!" 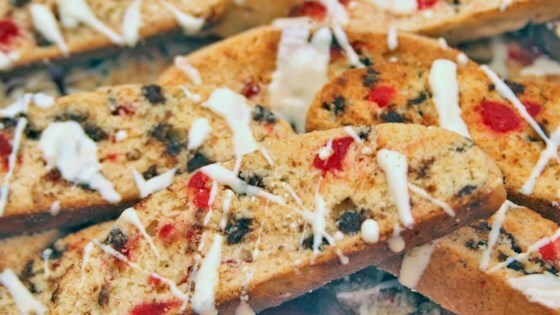 I've been making biscotti for 20 yrs. but this recipe crumbled when I tried to cut it. I'll bake for a shorter time if I try it again.